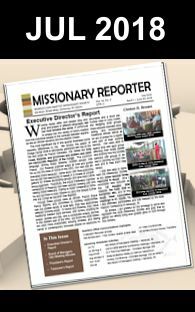 We are at the end of the special Church Fund Raising Campaign, launched March 15, 2017 and ends May 31, 2017. The target was to raise $40,000, to help shore up the Society’s capital fund that helps with office expenses and transportation costs for staff travel to preach, teach & work out the specifics of projects with SDB ministries globally. 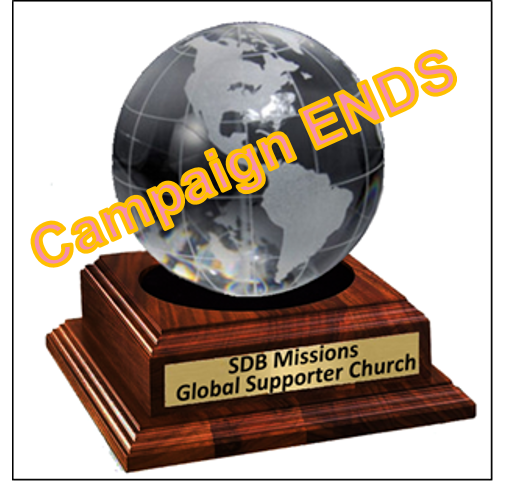 Each church was asked to raise a minimum of $1,000 for missions, with the church raising the most funds winning the inaugural MISSIONS GLOBAL SUPPORTER AWARD and be recognized at General Conference. We are now receiving last minute checks and calculating totals. A global thanks to those who coordinated their church’s support and to all who contributed. I wonder which church will win the award for raising the most funds. The grand announcement will be made at General Conference with a presentation. See you there!